Organisers of an exhibit in Paris of artefacts from the tomb of the ancient Egyptian pharaoh Tutankhamun are expecting more than a million visitors. The show opens on Saturday and is the last time the objects will travel outside Egypt before they go to a new museum near the Giza pyramids. Ticket sales for the exhibit, called "Tutankhamun: Treasures of the Golden Pharaoh", reached 130,000 last week as curators began installing the objects. Organisers say they are expecting 1.2 million people to visit over the next six months. The collection is being transferred from the Egyptian Museum, in Cairo's Tahrir Square, to the new museum near the Ginza pyramids, which is due to open next year. The exhibit shows 150 of the objects, 60 of which have never before left Egypt. The Egyptian Ministry for Antiquities said this is the largest number of Tutankhamun artefacts ever to have left Cairo, and it may never happen again. The Louvre in Paris loaned one of its top Tutankhamun pieces to the show, a statue of Amon, the king of the gods, protecting the pharaoh. El Awady says the objects were chosen to tell the story of King Tut's journey to the afterlife. “The story we want people to experience is to travel with Tutankhamun through the afterlife and take this dangerous journey with him in the underworld, until the King is resurrected and lives forever,” he said. Paris is the second stop of a tour of the objects, after Los Angeles. The last time King Tut's artefacts were displayed in Paris, in 1967, 1.2 million people came to see them, setting an attendance record that still stands today. The exhibit at the Petit Palais was called "the show of the century". 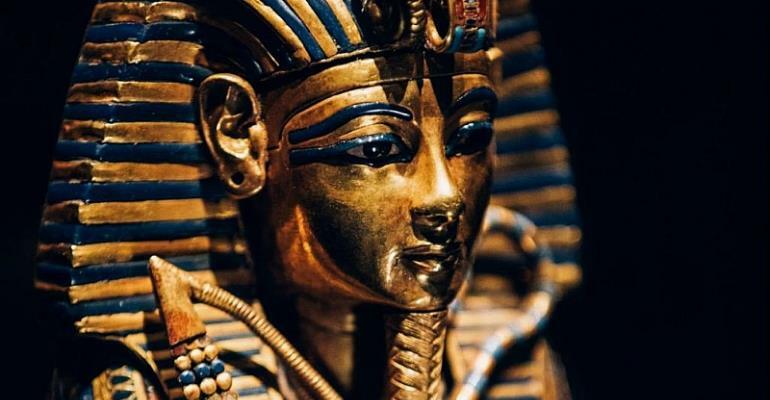 The new exhibit will not show Tutankhamun's golden death mask, made of over 10 kilograms of gold, as Egypt prohibits it from leaving the country. Among the objects on display is an alabaster vase that El Awady calls the wishing cup, which he says foreshadows King Tut's popularity. The exhibit will open in London in November, before moving to Sydney. The six other cities on the tour have not been disclosed. The proceeds will help pay for the new Giza museum. 'Tutankhamun, Treasures of the Golden Pharaoh' opens at Paris' Grande Halle de la Villette from 23 March - 15 September 2019.